Equity recognizes that some groups experience systematic discrimination that places them at a disadvantage. These groups may need "more" than groups that have had a history of advantages. Talking about equity can be hard--people may feel it's unfair. We believe practicing equity benefits all children and helps to make classrooms, schools, and communities the best they can be. For example, discrimination costs communities quite a bit of money. These resources are useful for thinking about the equity viewpoint.​ Please note that they don't reflect the views of the PTA, Roxboro, CH-UH or any individual. Multicultural Night is coming up! Next committee meeting: Check the PTA calendar (see calendar page). Want to get involved? Join our mailing list below. A long but important article on opportunity hoarding and a new "aristocracy"
Inclusion is about making everyone feel welcome and able to participate. It involves thinking about which groups are not well represented in a PTA, both in membership and practices. "Which groups are difficult to reach because of language, geography, cultural perspectives or religious differences, or have been resistant to a PTA membership invitation?" (from the PTA Diversity and Inclusion Toolkit, linked below). There are many barriers to participation and involvement. As a less obvious example: In very progressive schools, more conservative families may feel alienated. Inclusion simply asks that a PTA think about addressing these barriers. 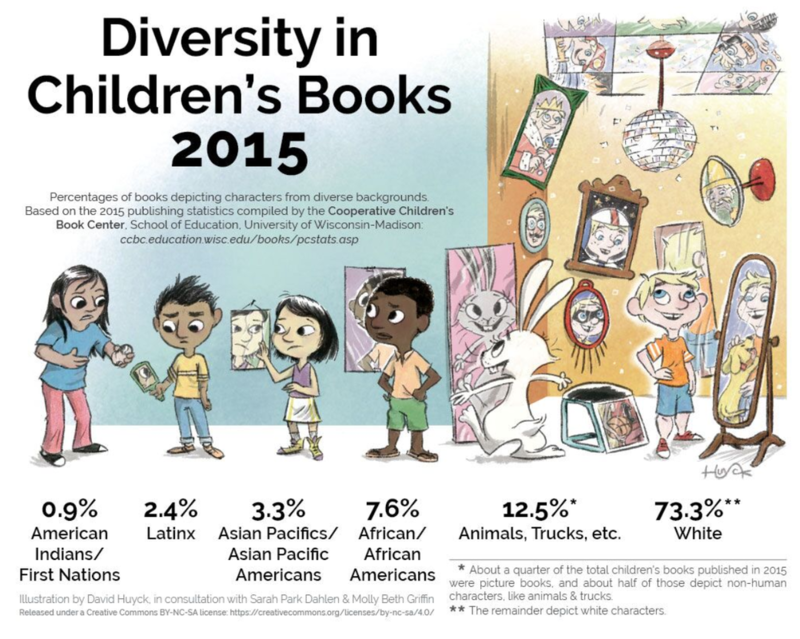 We need diverse books site. A map of Cleveland Heights by racial/ethnic makeup. This version shows % Black residents, with red being larger proportion Black residents. The same map can be viewed with percentage White, Latino/a, etc. Source and more info here.